Orly Sparkling Garbage is one of six new polishes from the Orly Mash Up collection. The other five polishes have already made appearance on SoNailicious here. Sparkling Garbage is so unique it warrants a separate post! 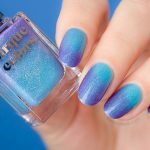 Its complex light turquoise shade coupled with a holographic finish makes this polish a real stand out. It’s not your typical holo; the sparkling particles are larger and more vivid. It’s more of a very fine glitter with a multi dimensional shine. This shade is perfect for summer and would look stunning on slightly tanned skin. Orly Sparkling Garbage shines like thousands of diamonds under room lights, so if you want to wear something special on your digits for a summer party, this shade should be your go-to! It’s rich, light turquoise shade will go perfectly with any summer colours, especially white. We’re in love! Find out more about Orly Sparkling Garbage in our full review is below. 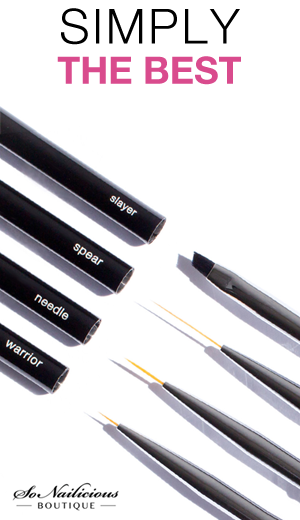 Formula: Very easy to apply, sheer, fast drying and 3-free. Application: 4 coats will ensure full coverage. 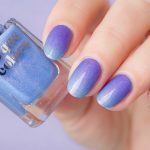 We recommend using a light blue polish as a base, then you’d need only 2 coats of this holo to achieve an opaque look. We used ORLY Pretty Ugly as a base. Finish: Multi dimensional, extra fine glitter that ranges from blue to turquoise, green, yellow and red. Brush: Signature ORLY brush with nice bristles, very easy to use. Wearability: Without a top coat it can go 2 days chip free. With top coat 4-5 days. Extra comments: Note, it’s difficult to remove so you’ll need to use the soaking method as with any glitter polish. More info here. Nail Art: Perfect as a base for any nail art or as a first layer for glitter part of glitter gradients. Not suitable for details as it’s too sheer. Disclaimer: products were provided by PR or brand for our consideration, opinions expressed are our own. Full disclosure policy can be found here. Overall Impression: A beautiful statement shade. 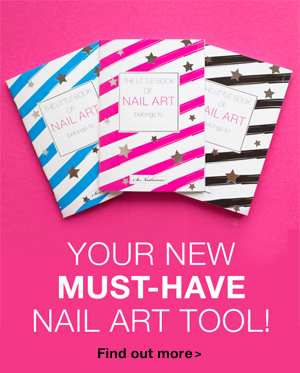 A must have for any glitter fan and anyone who wants to give their digits a sparkling makeover this summer. Availability: Orly Sparkling Garbage and Orly Mash Up collection will be available from August 2013. The other shades are in selected pharmacies or online here in Australia and in USA, here. So, how do you like the Sparkling Garbage? Will you be getting this one? 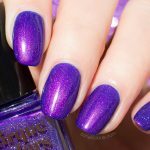 What’s your favorite holo shade right now? Let us know!! Then stick around! Subscribe to SoNailicious Newsletter here to get our weekly email updates with the latest nail news, tutorials and nail care tips.